Stunning cottage renovation. Sleeps 4 in perfect comfort. Beautiful location. The Granary has been recently redeveloped to combine a traditional cottage feel with high end luxury. It has two double bedrooms with full ensuite bathrooms. The beds can be configured as king-size or two single beds. The ensuite bathrooms are both fully equipped with bath and separate shower. One of the bedrooms is on the ground floor and is ideal for people who have difficulty with stairs or for families with young children. The living space has original exposed beams and is open plan, combining a fully equipped kitchen, dining area and lounge. An enclosed private patio area is provided at the rear of the cottage with barbeque, outdoor tables and chairs. Plenty of on site parking is available. We also have our own craft workshop on site where a wide range of craft and floristry activities can be arranged for guests. SMART TV can be used to access nextflix or similar if you have an account. Bluetooth soundbar can be used to play music from phone or tablet. Bluetooth soundbar can be used to play music from phone or tablet. 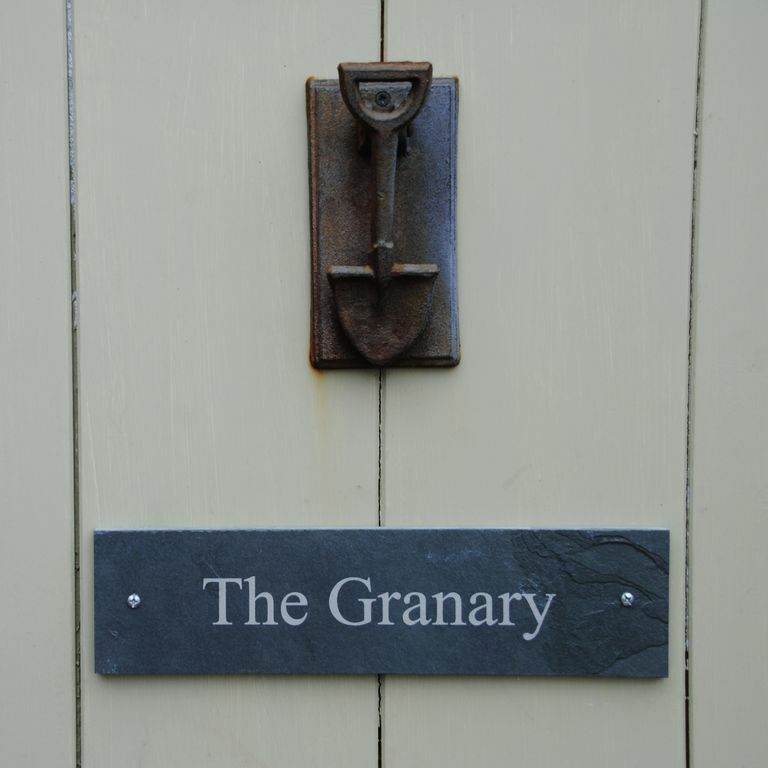 The Granary is very well appointed, incredibly clean and a relaxing place to stay. Amanda and Derek are brilliant hosts (well, they are Northerners after all!). Luxury in a fantastic part of the world - what could be better?? The property was in a good location and ideal for exploring the local area. The house it self was perfect , and was very homely , comfortable to stay in and had every thing in that was needed.The owners made us feel warmly welcomed and on arrival had provided few essentials and during our stay Amanda made us home made scones and provide freshly baked bread. Also was very helpful on suggesting places to visit. An absolute gem of a place, a warm welcome on arrival, thoughtful provisions and a superbly equipped property in a gorgeous location. Would highly recommend. Amanda and Derek have done a brilliant job converting the property. It's very comfortable and has everything you'll need - and if there is something specific that's not there they'll try their best to get it. They are so welcoming and helpful, a great couple. We loved the private garden and the double wash basins were a real luxury!! Very peaceful, beautiful area. We enjoyed visiting towns like Ledbury and Ludlow and stunning Symonds Yat. Never made it to Malvern, maybe next time. We left feeling really relaxed after 5 very enjoyable days. Thank you Amanda and Derek.